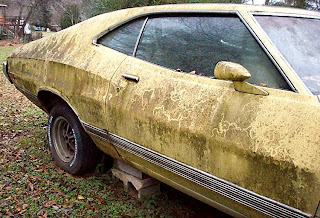 “I put blocks under it to keep it off the ground,” said the man with the yellow 1973 Ford Gran Torino Sport parked deep in his yard. 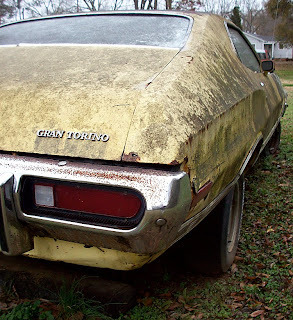 Robert Champion’s lawn has been home to his brother’s Gran Torino for more than a decade. 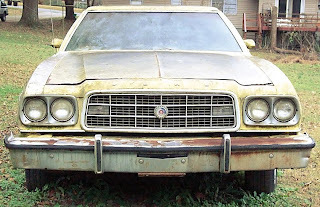 This relic from the muscle car meltdown years deserved a closer look. It appeared to be in much better shape from the road. 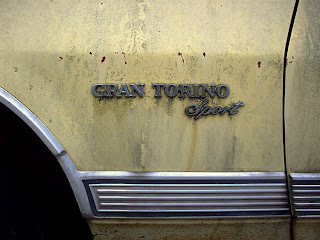 The Gran Torino Sport will remain in Robert’s yard until his brother or the elements claim it. So far, the bright yellow fastback is losing its battle with Mother Nature. Old yeller, as I call it, has been a landmark for residents that get turned around in Mr. Champion’s Pinson, Alabama neighborhood. 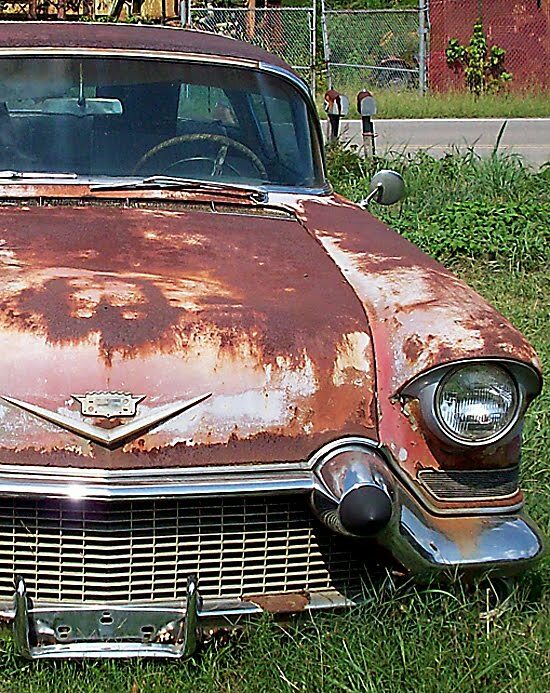 Like it or not, old cars tend to disappear when you least expect it. 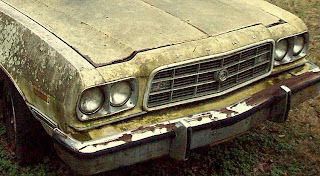 This landmark vehicle will eventually be claimed for a restoration , parts or scrapped out. 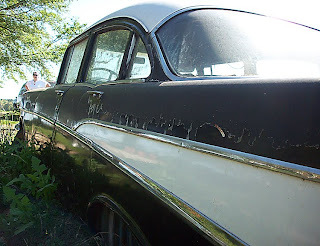 See another example here of another ‘Car in Yards’ that vanished not long after I documented its existence. 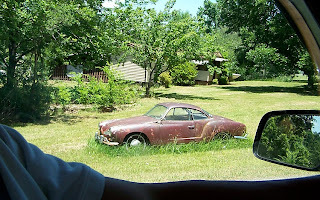 Let this be a lesson to neighbors who view old cars wilting on the lawn next door as an eyesore. It’s brotherly love, people! 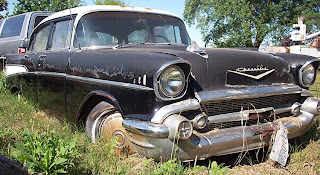 Any good brother or sister would gladly provide storage space for an older vehicle that holds nostalgic memories for their loved ones. 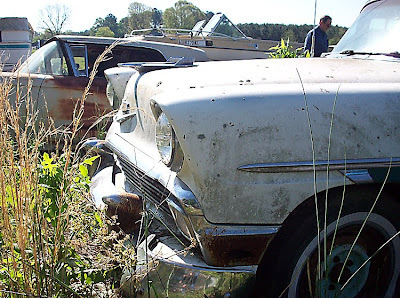 One day you may be lucky enough to have a ‘project’ in your yard. Send your car stories and photos to Junkyardlife here. 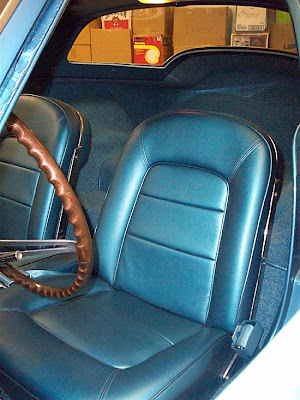 What do you do when you drive-by a rough-looking but rare car? You take a photo of it like Michael K. Joachim did. 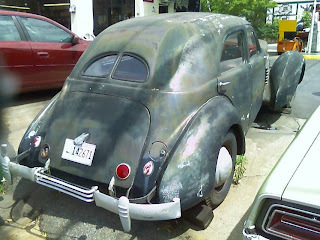 Joachim of Pelham, Alabama spotted this 1936 Cord 810 Westchester at an automotive repair shop in Roswell, Georgia recently. 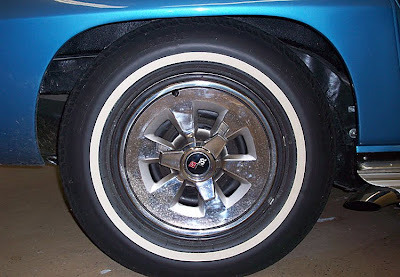 Joachim knew this was a rare car at first glance. "I've never seen one of these outside of a museum," he noted. 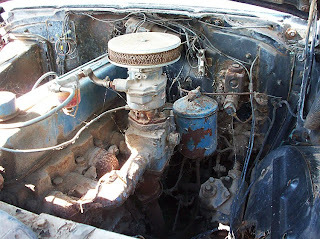 Joachim found out that the car does run and drive and belongs to a customer at the repair shop. 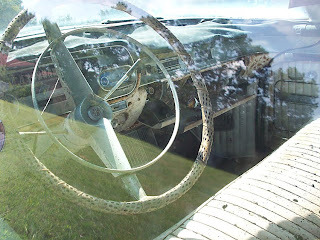 Cords competed for the American luxury car dollar with Duesenberg and Auburn. 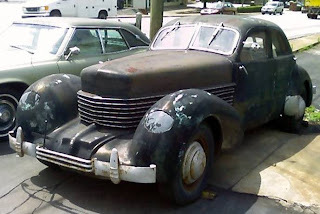 Cord built four door sedans along with two and four door convertible phaeton models. 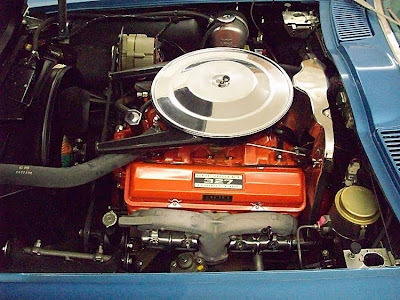 All Cords featured front-wheel-drive and V8 engines. 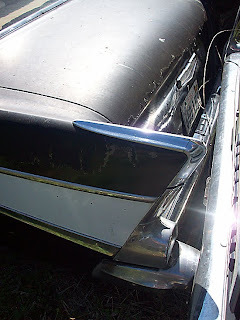 Their hide-away headlights are operated by small chrome hand cranks on each side of the dash. 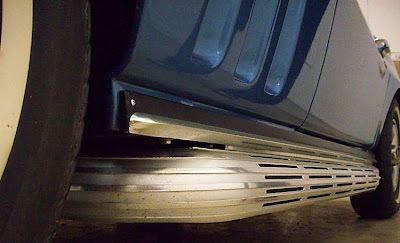 Door hinges are mounted inside the doorjambs instead of externally. 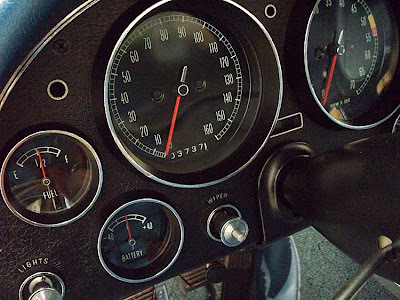 These features made for a sleek, advanced vehicle in 1936. 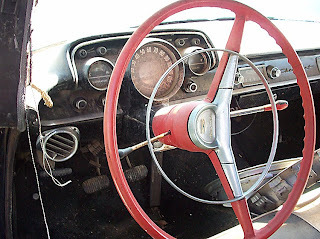 According to Hemmings Motor News about 3,000 Cords were built in 1936 and 1937 and it is estimated that about 1,800 survive. A 1936 Cord 810 Westchester Sedan sold new for $1,995, and today is worth between $25,000-$60,000 according to Hemmings. 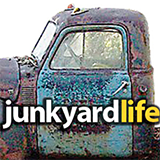 Send your photos and stories here for junkyardlife glory. 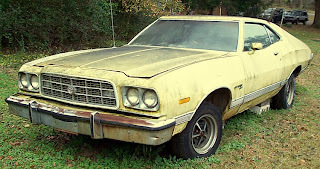 $250 1972 Cutlass Supreme for sale: Buy or not to buy? 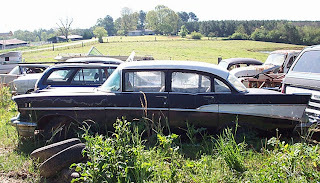 How often do you see a 1957 Cadillac hardtop coupe bought by Elvis Presley parked on the roadside? 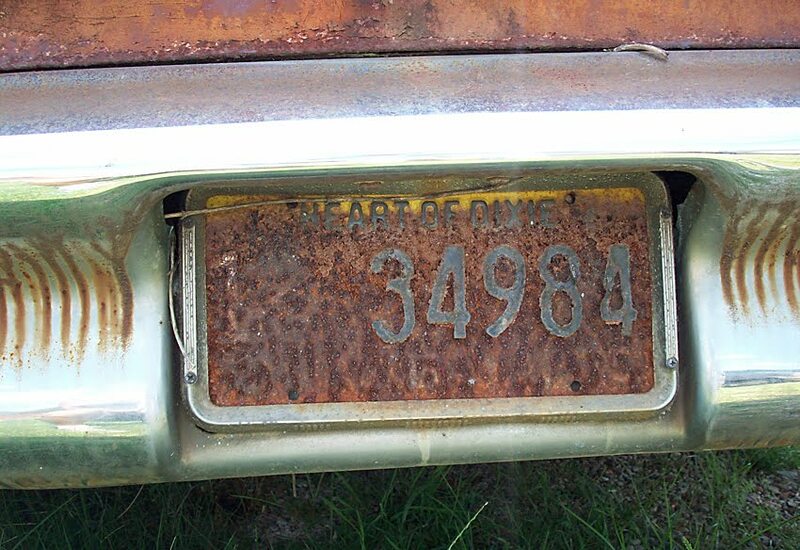 This long-suffering Cadillac’s current owner, Herman, bought the car from an old friend of Elvis Presley’s mother. The story goes like this. 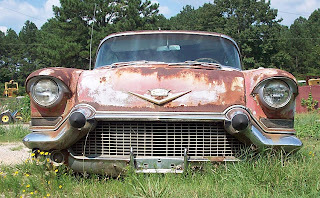 “Elvis bought the car for a friend of his mama,” Herman told me. 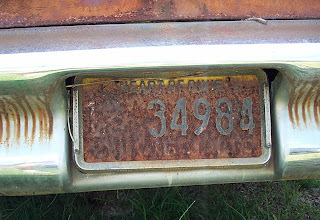 “Elvis’ mama’s friend lived in Center Point, Alabama,” when Herman bought the car, “25 or so years ago.” When I circled the Cadillac I felt the year ’75 recessed in the car’s rusty 'Heart of Dixie' license plate. 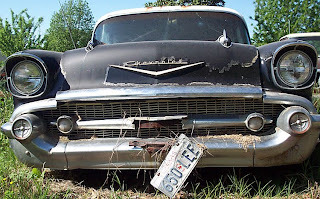 Herman had plans to restore the car when he bought it. Those plans took a backseat for a quite few years. 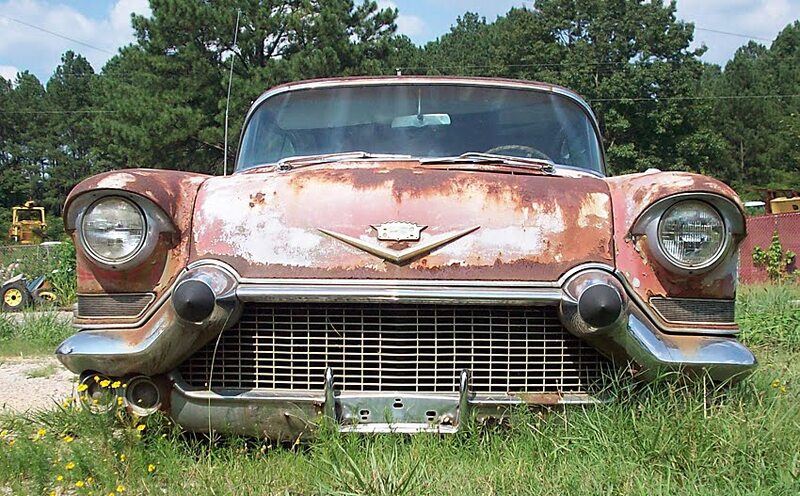 He still hopes to get the Cadillac out of the weather before it’s too late. 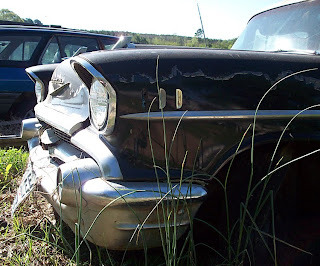 The car remains a landmark of sorts for area residents but how many of them know that Elvis Presley, the king of rock ’n roll, once held onto its keys? 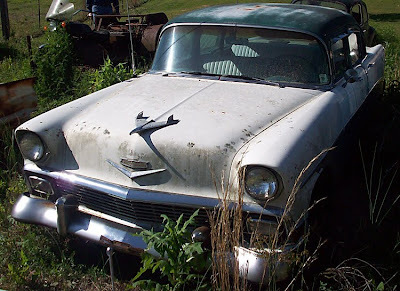 For three decades this Harley Earl-designed Caddy has been standing watch at the end of a long dirt driveway not far from Herman’s business. People stop and ask if the car is for sale often. It’s not hard to wonder why. 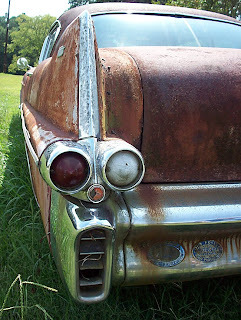 The car was once a majestic piece of General Motor's chrome-laden legacy. 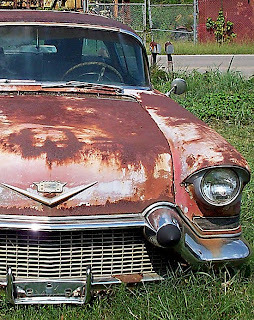 Elvis’ Cadillac connection may inspire someone to make Herman an offer he can’t refuse. 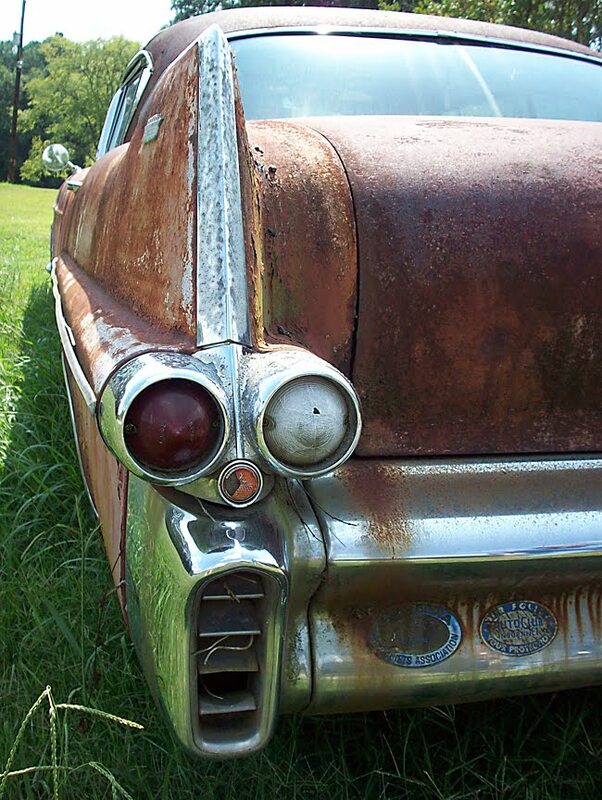 Right now the legend and legacy of a 1957 Cadillac coupe lives on a well-traveled road in the most populated county in the state of Alabama. 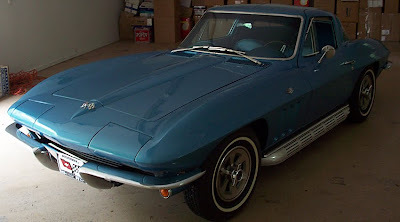 If you know more about this car or want to share your cool car stories and photos send them here. Click on images for larger photos. We can all dream, right? 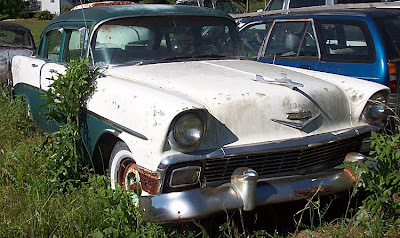 Junkyardlife readers are well aware that they could hit the lottery and be forced to park their beater car and start driving an investment car — a vehicle they could and would drive anywhere just because they can. 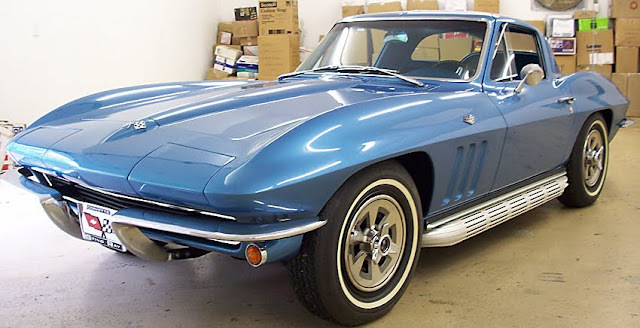 This Readers Rides 1965 Corvette probably held its value better than your 401K too. Karen Dorsett owns her dream car. 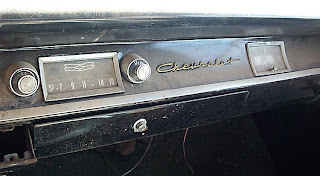 Dorsett first laid eyes on Chevrolet’s second generation 2-seat sports car when she was a teen. 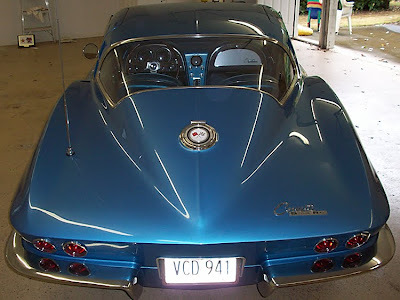 Captivated by Corvettes, her youthful exuberance would take over. 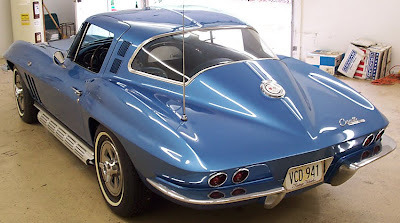 When she spotted one driving down the street she would point and shout, ‘Sting Ray!’ The appeal of mid-sixties Vettes remained in 2001 when Dorsett went to see this blue coupe. 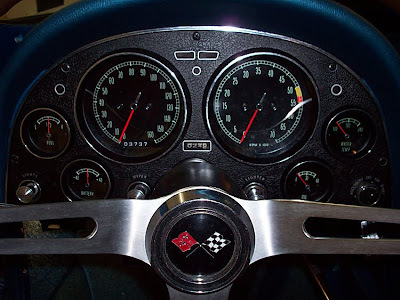 Dorsett was in love the minute the former owner rolled the Vette out of its storage space. It had to be hers. 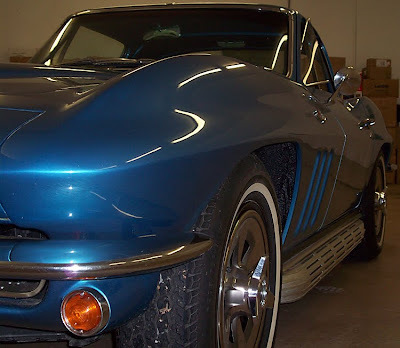 A deal was made and now Dorsett owns this attention-grabbing ’65 Corvette. Who says dreams don’t come true. 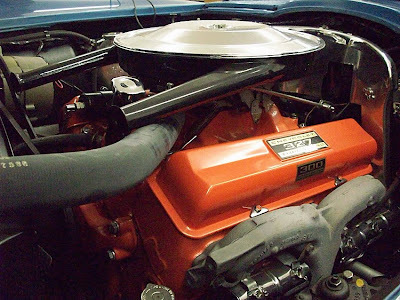 The original 300-horsepower, 327-cubic-inch engine and 4-speed transmission give Dorsett’s fiberglass beauty plenty of motivation. 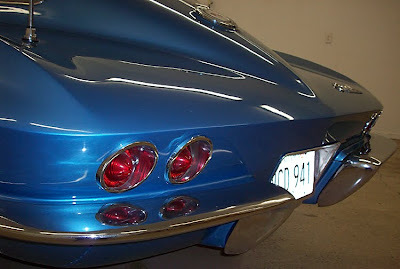 Throaty side exhaust pipes sing small block music when Dorsett takes her Corvette out for a spin. 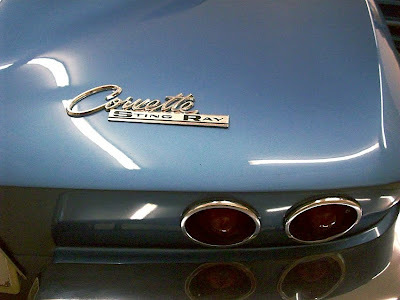 Chevrolet built 23,562 Corvettes for the 1965 model year — 8,186 coupes, 15,376 convertibles. Of those, 6,022 were painted Nassau Blue like Dorsett’s. 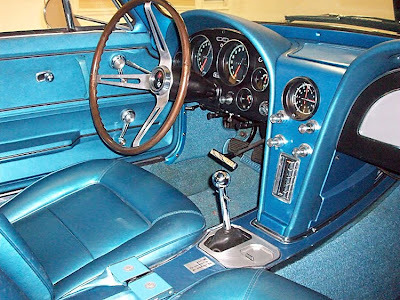 It’s easy to see why it was the most popular Corvette color that year with more than 25% of total production painted Nassau Blue. 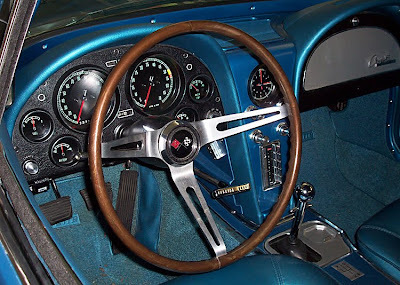 Dorsett acts as curator, maintaining the spotless Corvette. 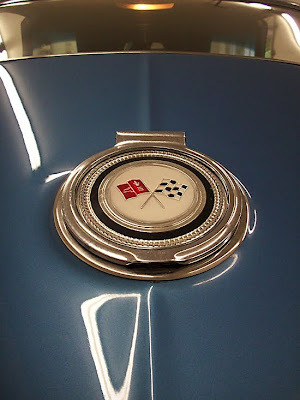 Her car is parked smack dab in the center of a large garage, creating the perfect showplace for Dorsett’s dream car. 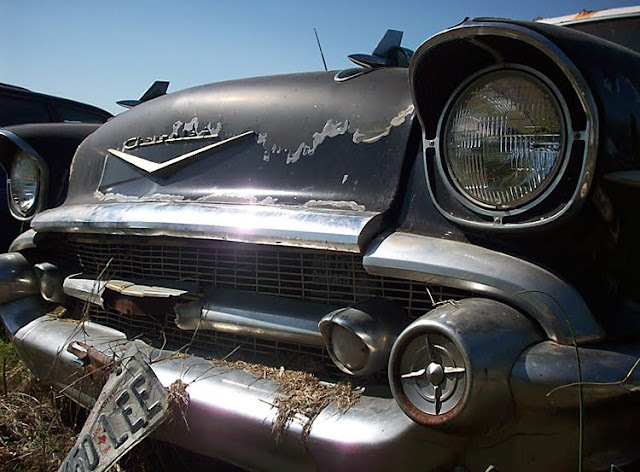 When we parted with the Corvette and shut the garage door, Dorsett was smiling. Her smile was tinged with the giddy excitement of a teen who just spotted her first Sting Ray in 1965. 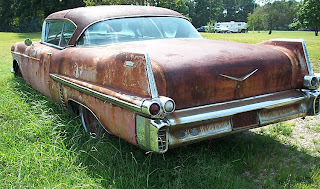 Want to see your car on Junkyardlife? Send me an email here.